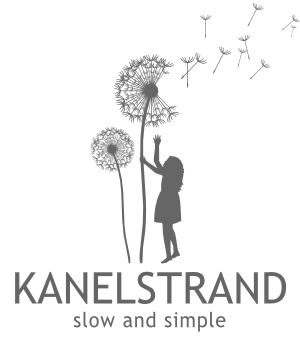 Kanelstrand: Simple DIY: Free Christmas Gift Tags! This post is written by contributing authors Vivid Please. This month we thought we would create a fun free print out for everyone to share - tis the season after all! Vivid HQ is already brimming with gifts for the holidays, and we love nothing more than to sit down and have a good wrap-a-thon. 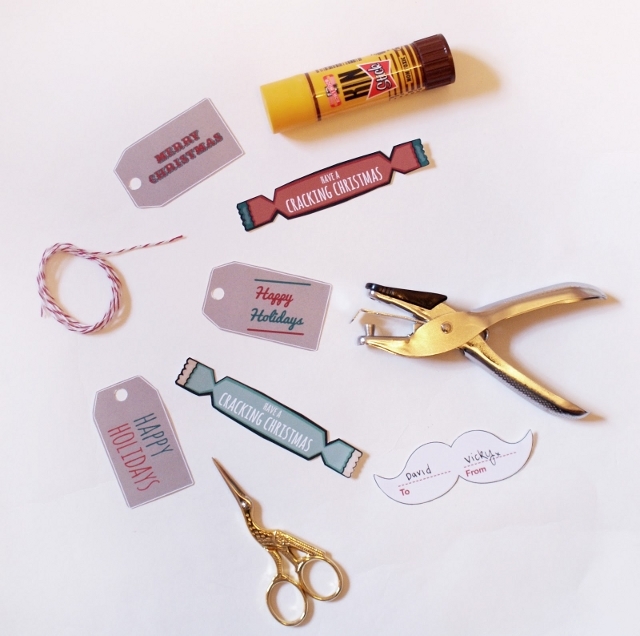 Always keen to have something a little different and to save some money, we've created a set of 6 tags for you to download and attach to your presents to jazz them up a bit. How fun! 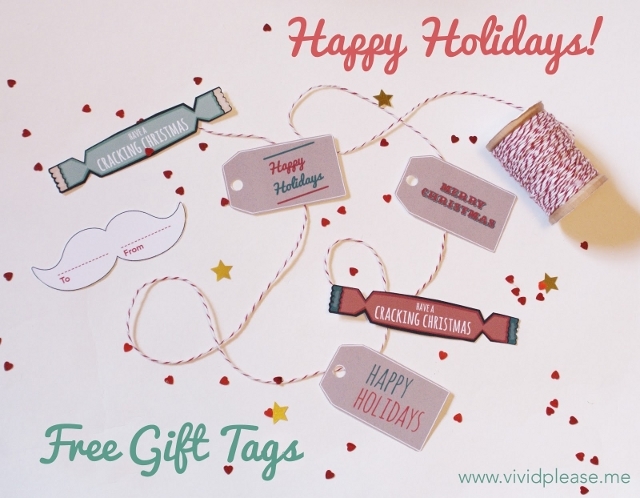 We've got Santa's mustache, a couple of crackers and 3 classic styled gift tags with our very own special design for you to download and print for free. All you need to do is save the file below, and print out at A4. Carefully cut each one out with scissors and hole punch the circles into the gift tags. 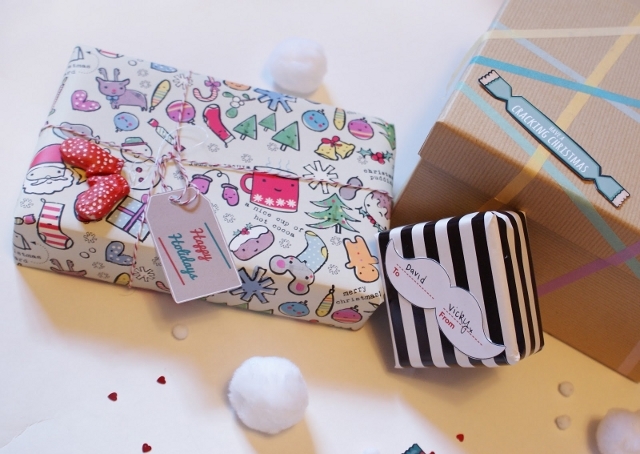 Then using some string or glue, simply stick on your pretty wrapped boxes and pop under the tree... Perfect! Vivid Please are known as Vicky and David when they are not together, but to be fair, that is rarely the case. Forever collecting odd trinkets and pointing at cute dogs, they believe that happiness is found in the little things. Their etsy shop stocks everything from prints and stationery to bags and accessories, everyday life has never seemed so fun! You can keep up with them by following their blog Vivid Please where they share their awesome DIYs, cool design and fashion posts and, of course, lots of snapshots from their world of wonder. Connect with Vivid Please on Twitter and Pinterest. What fun little tags! Thanks for sharing. Very fun! I love using unique tags. Thanks for sharing these cute little tags! Love the little mustache.